Gritty, Stuff Of Nightmares, Has Been Officially Welcomed To Philadelphia The Philadelphia Flyers' mascot looks like something that would hide under your bed as a child. "Gritty may be a hideous monster," says the city's official resolution, "but he is our hideous monster." Even rappelling from the rafters of the Philadelphia Flyers' arena, swinging to the tender tuneful power of Miley Cyrus' "Wrecking Ball," Gritty can see you. He can see your soul. Gritty is an icon for our troubled times. It has been just over a month since the Philadelphia Flyers introduced the mascot, a furry, candy corn-colored abomination against nature. And Gritty has used that time well — overcoming obvious eye issues and an apparent temper problem to become a sophisticated new cornerstone of our national discourse. Now, Gritty is also getting some much-deserved laurels from his native city. Philadelphia's City Council passed a formal resolution Thursday welcoming him and "honoring the spirit and passion" that he has inspired — not just for the city, but for "the entire country, both on and off the ice." Gritty, in all his Cheeto-hued glory. 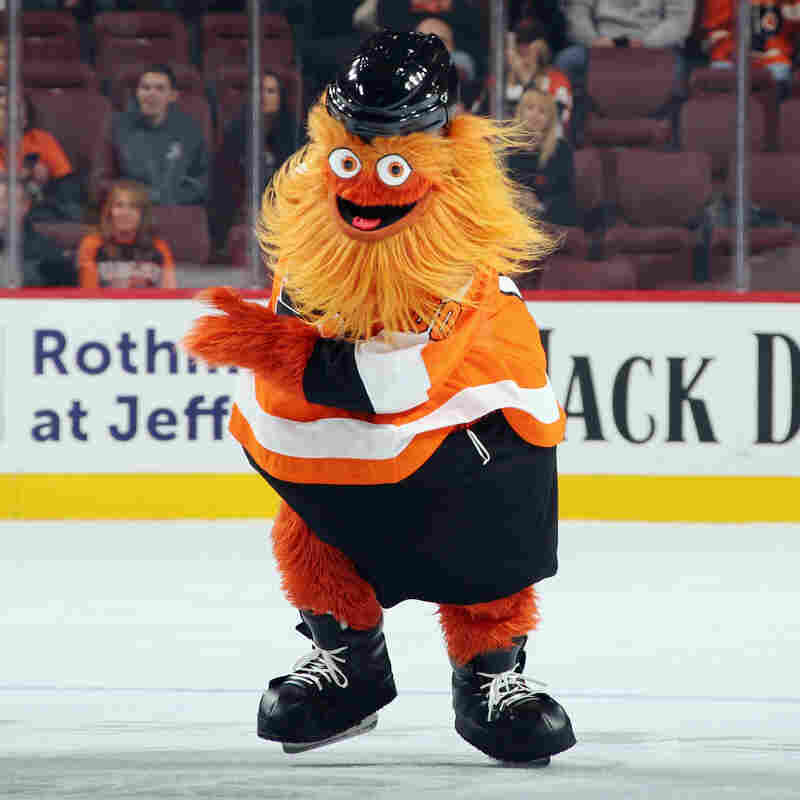 "WHEREAS, Gritty has been described as a 7-foot tall orange hellion, a fuzzy eldritch horror, a ghastly empty-eyed Muppet with a Delco beard, a cross of Snuffleupagus and Oscar the Grouch, a deranged orange lunatic, an acid trip of a mascot, a shaggy orange Wookiee-esque grotesquerie, a non-binary leftist icon, an orange menace, a raging id, and an antihero. He has been characterized as huggable but also potentially insurrectionary, ridiculous, horrifying, unsettling, and absurd; and ..."
The resolution established such a compelling argument, the council voted overwhelmingly to pass it Thursday. Just one council member, Curtis Jones Jr., raised his voice in opposition — though he did offer a compelling reason of his own for shouting nay. After a round of scattered applause and laughter rippled the chamber, Jones was told that he could clarify his position. "I have nightmares," he noted. The esteemed councilman is not alone. Gritty has become something of a Rorschach inkblot of the nation's hopes and fears. Sure, the Flyers organization offered a bit of biography, noting that "recent construction at the Wells Fargo Center disturbed his secret hideout, forcing him to show his face publicly for the first time." But since then, the sentient neon mop has become fodder for recurrent night terrors. 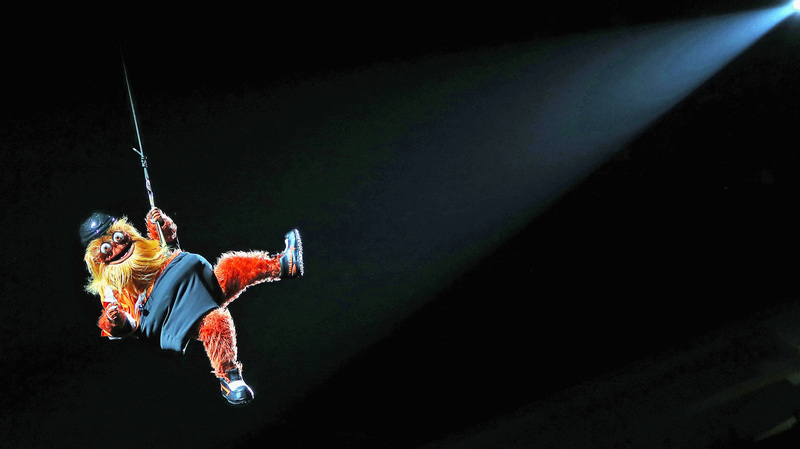 He has threatened other mascots, swung from the rafters to the tune of Miley Cyrus' "Wrecking Ball" and — well, um, he did this. You might want to shield your eyes. He also has become the subject of intense political dispute, because of course he has. The far left has claimed him for its struggle against the worst of capitalist excesses; the right has cried foul about his appropriation — in a Wall Street Journal opinion piece, no less. The frightening mound of googly-eyed fur has surprisingly never explicitly laid out his position on the labor movement. But that hasn't stopped concerned onlookers from parsing images to decide whether he crossed a picket line or walked out in solidarity. Gritty, meanwhile, has preserved a dignified silence. And that was enough for the Philadelphia City Council. "Gritty may be a hideous monster," says the resolution, "but he is our hideous monster." Now, time to celebrate with some truly disquieting Gritty baby photos.